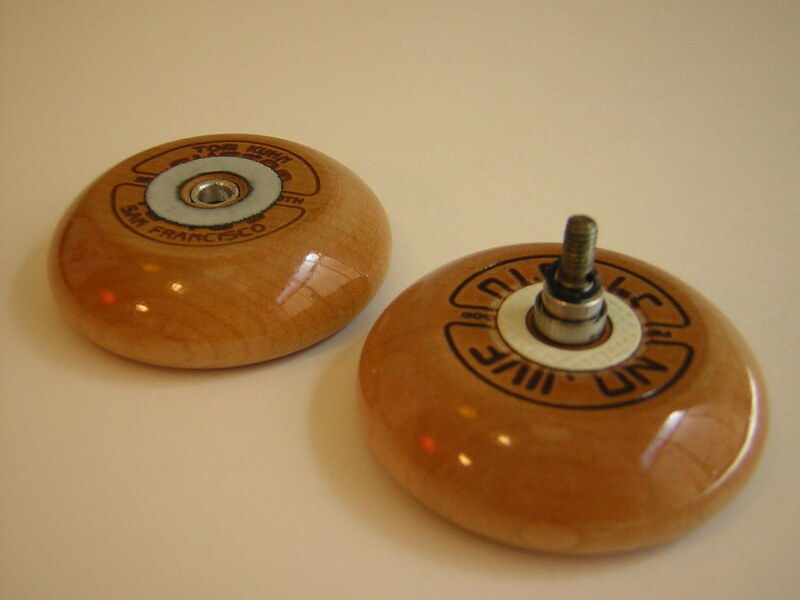 The Tom Kuhn No-Jive was one of the earliest take apart yo-yos. 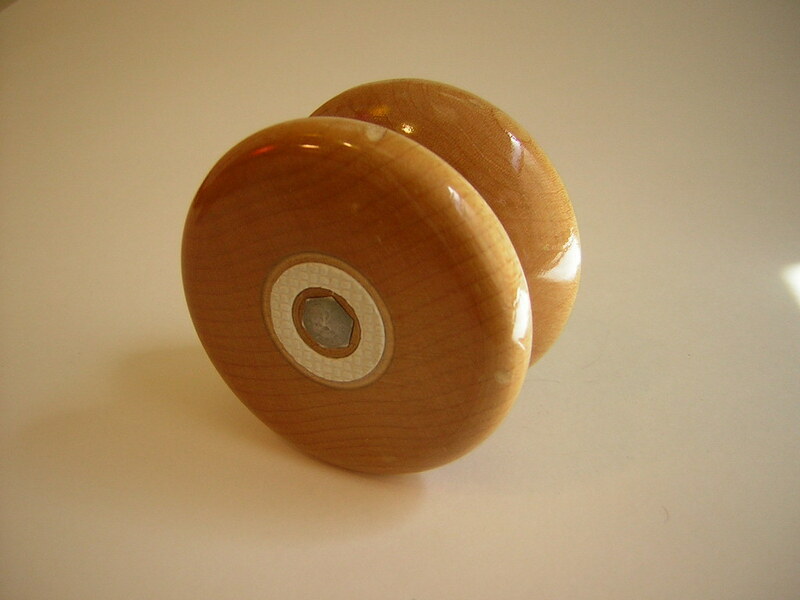 It’s a reversible shape yo-yo (it can be altered from a wide gap shape to a narrow body shape) with a removable wooden axle. It’s a classic yo-yo that, along with the Silver Bullet, brought on the era of the modern yo-yo. One day I was talking to Dr. Mo on the phone about how the SuperYo Renegade was such a rip off of the No-Jive. Somewhere along the conversation Mo offered to mod a No-Jive into a ball bearing yo-yo for me. So I shipped him a No-Jive and a Renegade. The mod wasn’t as easy as just switching the guts, in fact I’m very impressed as I look at all the work Mo did that I never noticed. Obviously the friction stickers are recessed, a necessary step since Renegade gaps can’t be made wider. He also had to add some metal tubes for the bolt to slide through. I do believe the axle itself is the original axle though. 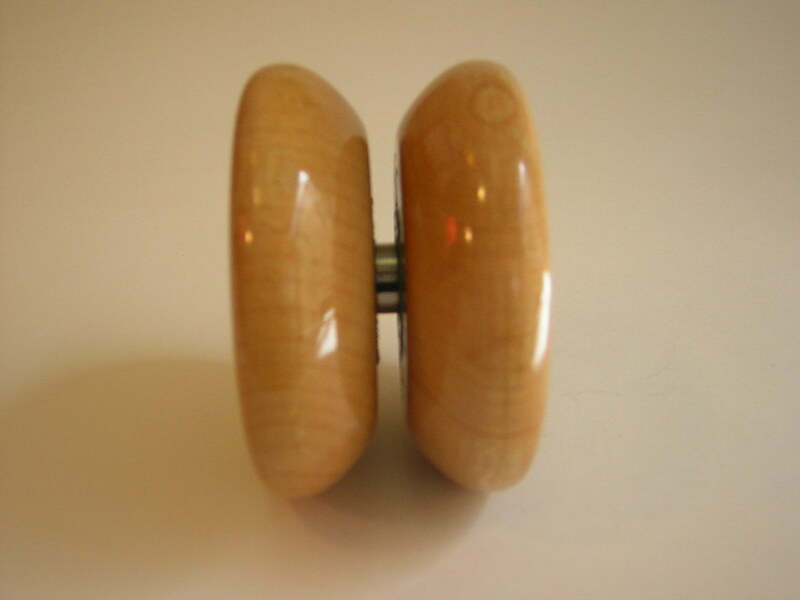 The yo-yo still has a “wood” feel to it, but it plays great with ball bearings. Actually, I think Dr. Tom should sell these himself. A Tom/Mo collabo. TomMo? MoTom? This is on eBay right now btw. There was also a guy up in Madison, Mark (not hawyard, another mark up there) somthing who did a bit of a reverse on this. 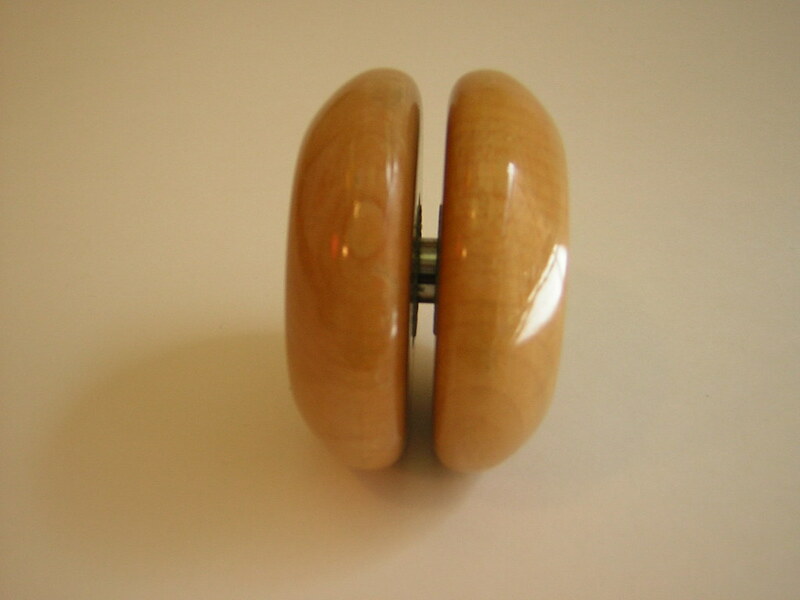 He used the 3-in-one axle nut system to add a wooden axle (and take-apart ability) to duncan wheels. Keep in mind he was doing this in contests back around 1993, possibly making him the first true modder.